To put it simply, backlinks are links that your website receives from other websites. Hopefully, websites that have their own authority. Websites that have some customer clout and Google love. Knowing the best way to build backlinks is one of the most important tools you will have in getting your site noticed by search engines and future customers. The quality websites that are associated with your website, the higher ranked it will be which will place it close to the top when appearing in a search. This makes it fairly obvious why learning this is so important. Getting page one or two ranking gives you a chance at making sales, making page three and above is a waste of time. There are some who believe that backlinks are not that important anymore, but I disagree. Google is all about content and giving their customers quality information. That is why it was created. If no one feels your site is not worth the time, you will go unnoticed, lost in cyberspace. It all starts with good keyword research, quality content, and then others taking notice. A higher backlink score connected to your website can give it a lot more exposure depending on the quality of those backlinks. They should be related or relevant to your subject matter as well as from credible sources and pages that already have a good page rank. So how do you do this? How do you get and control your backlinks in a manner that will be picked up by the search engines? Blogging effectively is a good way to start. You drive traffic to your site by writing quality content with intent. You want to get people interested in that blog so they are compelled to tell others. They will share it on their social media sites with their friends and so on. That’s a good way to get the ball rolling. Prime the pump. Use your social networks sites by sending out a little snippet about each blog you publish to ‘get the word out’ about your business to drive them to it. Guest blog. Search the web for well-established sites related to your niche and write some content for it. Ask the blog owners to publish it. It is an effective way to obtain respected backlinks with high PRs. .Creating a forum is an idea. In a forum, you can start a pro-con type argument, or you can join other forums in your niche to be heard. Take a side. Create some discussion on your opinion. Other people will make comments and it could backlink to your own site. Article marketing is not as strong as it used to be, however, it does carry some weight. Posting relevant articles that with links that can revert back to your site is an easy opportunity. Sites such as EzineArticles, or Wealthy Affiliate lets you plug your own business with linking. Become an authority. An expert. One of those internet guru’s. Answer or comment on posts as an authoritative voice. Sound off then link back to your site so those readers may know from where you speak. Yahoo Answers will work well for this method. Get a YouTube account from Google and post a valuable video for your customers. Post the video on your blog. Do not buy backlinks. Only relevant backlinks are worth anything and those bought ones could get you in trouble with Google. Absolutely the last thing you want to do. THE best way to build backlinks: Ask. Find a relevant site to your niche and just ask the owner to link back to you. Of course, you will be linking to that site. Use their contact form and give them high praises for the work you have seen on their site and ask for some link juice. The worse that will happen is a ‘no’ or no answer at all. You will be surprised at how much positive feedback you will receive. Afterall, we are all in this together. TippNews DAILY press release How to Get Backlinks from Great Websites. 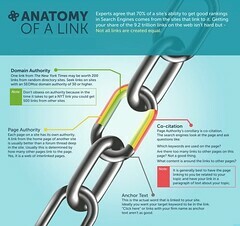 Backlinks play a critical role in search engine optimization. Google looks not only at the number of backlinks you have but also at the sites they’re from. If the website of a thought leader includes a link to your site then it will have a ……... read on…………. Remember to try and get links from those already ranked. They are worth the time and trouble because they carry more weight when it comes for the search engines to evaluate your page rank. Get in the discussion. Join forums and other groups and be active. Guest blog with intent. Promote with style! Please contact us with any thoughts, questions, or concerns. « Get More Readers to Your Blog – Get Noticed!